We work with startups who create world changer products from SaaS and enterprise software to mobile apps and landing pages. Design is a difficult process of solving potential problems, it can be make it or break it for new companies. At Flatastic we take a different approach to design. We work as a team to let us pay attention to details that one might miss and always find the best possible solutions for your product. 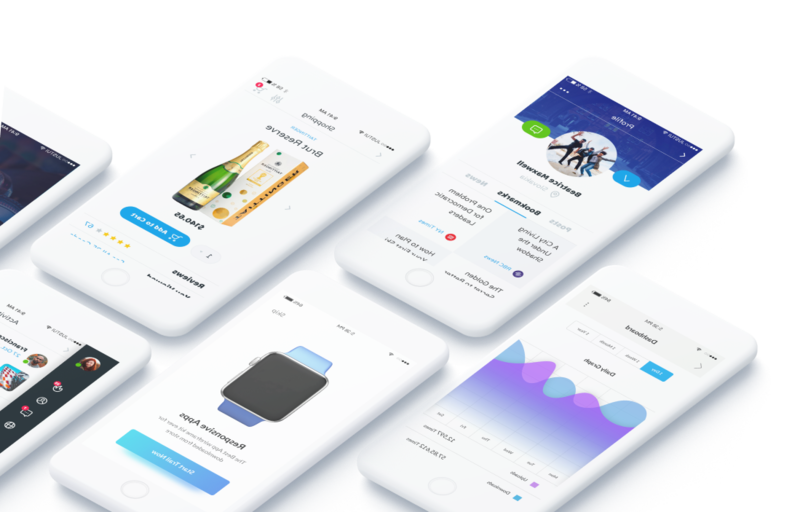 Designs created by Flatastic’s Design Team have been greatly appreciated by the design community: they have received tons of love on Dribbble by tripling in followers and likes and received awards on behance for best design of the day. Flatastic's dedicated Design Team has an extensive experience in crafting beautiful interfaces and building user experiences. Our design process is based on thorough research and testing. We know what approaches and techniques are effective and we leverage them in every service we offer. Full stack design from Mobile apps to landing pages. We are up for any challange! Our clients range from start-ups to enterprises. No matter the size We transform our clients' businesses and digital presence by elevating their products and empowering their customers. Take a look at some of our previous work! At Flatastic we believe the internet is a little too bland. With user expectations at an all-time high, your company needs a digital experience that is intuitive, beautiful, and flat..... while being optimized across web, tablet and mobile devices. Through a user-centric design methodology, our team deliver creative and impacting design that will resonate with your target audience while advancing your business objectives.